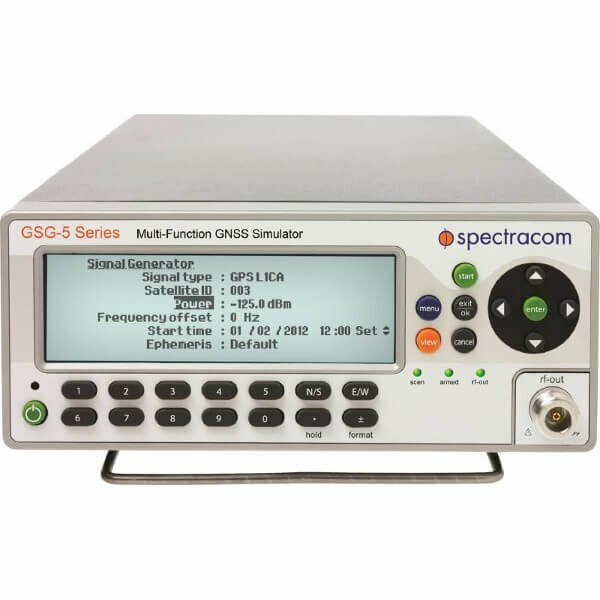 The GSG-6 Series family offers multiple frequency band operation, multiple GNSS constellation simulation, and expansion to many more channels. Incorporating all of the features of the popular 5 Series family, the 6 Series line expands your capability to simulate all the new, emerging GNSS signals. With a base of 32 channels, upgradable to 48, 64, or more, it provides navigational ﬁx and position testing, for engineering and development testing. The 6 Series simulator protects your investment by being upgradeable in the future to more frequency bands and channels (plug-in hardware upgrade) and more signal formats (ﬁrmware upgrade). 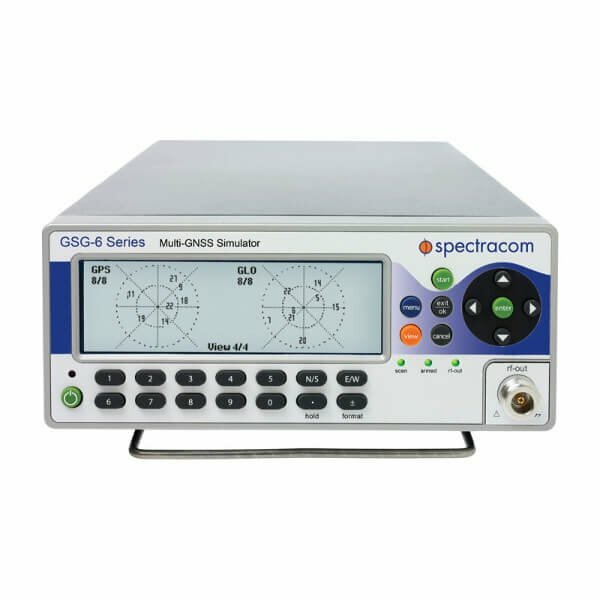 The GSG-6 series offers more channels and GNSS signals on multiple simultaneous frequencies. For example, the GSG-6 supports testing dual frequency (L1/L2) receivers and military secure SAASM modules with pseudo P(Y) code with M-code coming soon. Currently the GSG-6 series also supports new GPS signals L2C, L5; GLONASS L2; Galileo E5; BeiDou B2; and IRNSS L5. Besides the variety of built-in navigation/positioning tests, the GSG-6 is also suited for testing the accuracy of timing receivers. All GSG models are equipped with an ultra-high-stability OCXO timebase for precision timing of the satellite data, or use external synchronization from a 10 MHz reference from e.g. a Cesium or Rubidium clock. A built-in 1-pps output, synchronized to the generated satellite data, allows comparison with the 1-pps signal from the timing receiver under test. And the OPT-TIM option provides a ten times improvement in timing calibration accuracy. Each configuration adds 16 channels and another frequency that can be simultaneously simulated. You can upgrade models by returning the unit to the factory. GPS and L1 is included and the second frequency and other constellations are ordered from the list of available options. You can order more frequencies than the unit is capable of generating simultaneously in the case of testing L1+L2 and then later testing L1+L5. You do not need to order as many frequencies as the unit is capable of generating in the case of ordering the hardware to generate multiple frequencies, and then ordering frequency options later as a firmware upgrade without the need of returning the unit to the factory.